Not QUITE Punxsutawney Phil.....but Still Fun! Not QUITE Punxsutawney Phil…..but Still Fun! Punxsutawney Phil’s got nothing on Kansas City’s own Spike the Hedgehog! Head on over to the Kansas city Zoo on Tuesday, February 2 at 10 a.m..
Spike the Hedgehog is one of the Zoo’s Education Ambassadors. And, for his second year, he is going to appear from his “hibernation” to celebrate Groundhog Day. With the assistance from Randy Wisthoff, Zoo Director, Spike hopes he will not see his shadow so perfect Zoo-weather will be in sight and the end of winter is near. Why the hedgehog? 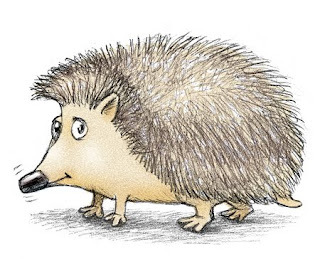 It is believed that the early Romans observed Hedgehog Day. If its shadow was seen it was predicted that six more weeks of bad winter weather would occur, a second winter. When the tradition moved to North America, Groundhog Day was named since hedgehogs were not a native species. And see – you thought that all you learned from me was savings — seems I’ve got bits of trivia for you too!